Sergio Busquets was not surprised to see Lionel Messi overcome a pelvic injury to inspire Barcelona to a 2-0 derby win over Espanyol. Messi revealed this week that he has been managing a fitness concern since December, explaining his absence from Argentina's friendly against Morocco. 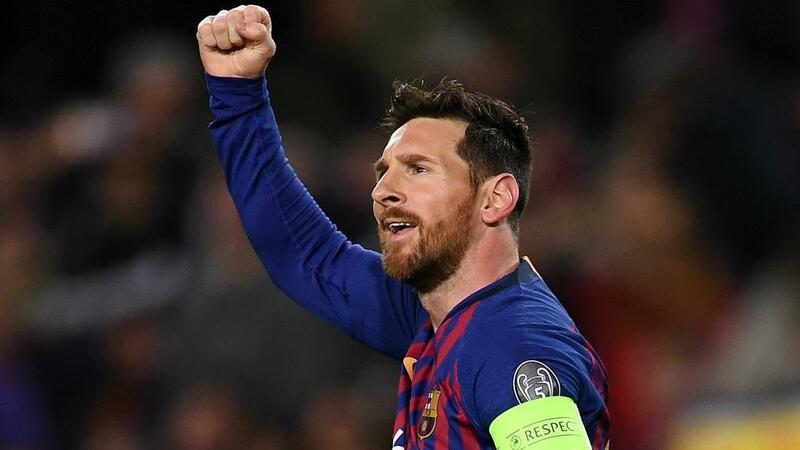 But the Barca captain was named in Ernesto Valverde's starting XI on Saturday and scored both goals as the LaLiga leaders took another step towards the title. A tough week might have impacted other forwards, but Busquets always expects the unexpected from Messi. "He is so important for us and he had a great game," Busquets said. "It is always an advantage to have him playing for us. "His performances may be unusual from the outside, but they do not surprise us. What he does in training is more difficult in matches, but we are used to it." Describing Barca's difficulties in breaking down Espanyol, who held out until the 71st minute, Busquets said: "Espanyol took an ultra-defensive approach where it was difficult to find spaces. "But we still had chances and they did not. In the end, despite the fact that it was difficult, we have got the goals and won - deservedly after what you could see on the field."